NOTE: Diving certification is not necessary to enroll in this course, but is recommended. For SCUBA-certified (PADI, NAUI, or SSI certified) students who will be diving, there is a $100 Lab Fee with this course which covers dive tank, air and dive weight rental. Students with SCUBA certification are expected to bring their own BC, regulators, and proof of certification. 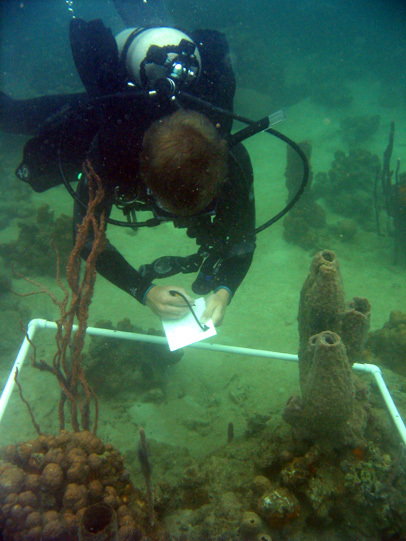 This course is designed to provide the student with a sound foundation in ecological concepts and field techniques as applied to coral reef ecosystems. The material covered is equivalent to a university upper level course in coral reef field ecology. (Note: Diving certification is not necessary to enroll in this course, but is recommended). The course will begin with a global ecosystem perspective and then will progressively narrow to assess the way in which local reefs are influenced by both global and local phenomena. We will briefly survey reef systems in various parts of the world and focus in depth on Caribbean reefs. 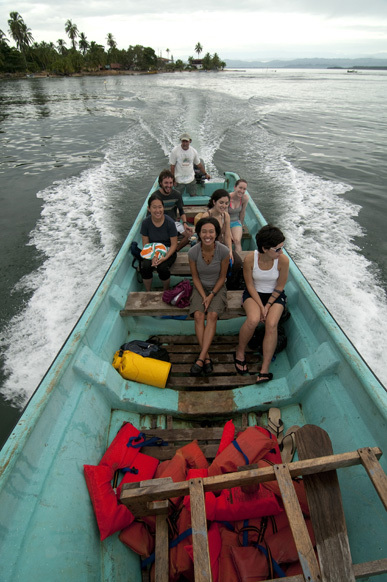 Using the reef at Bocas del Toro as an example, we will carry on an inventory of representative reef biota to characterize a general reef community. We will examine several theories of the origins of reefs and discuss some controversial formulation of community structure such as the role of competition, stochastic vs deterministic models in reef organization, diversity/stability relationships and trophic dynamics. In the inventory we will examine several experimental designs and sampling schemes with regard to their usefulness in a reef setting. Methodology and practical considerations will be emphasized on a substantial theoretical foundation. Lectures will present topics that provide a background for the field work in an interactive discussion format. Topics are selected to permit students to develop an awareness of the objectives of research on coral reefs as well as an appreciation of current theoretical and practical issues in ecology. Garrison, Tom. Oceanography Latest Ed., Wadsworth, New York. 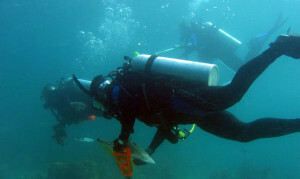 Students will be organized into dive team groups and will carry out field exercises in which they will gain experience in the use of sampling equipment and techniques used in reef research and monitoring. The data collected will be analyzed and as appropriate, organized into reports. Each student will have access to all of the procedures and equipment. These experiences will prepare students to carry out individual research projects. Each student will be expected to prepare a research proposal for an original project in consultation with faculty. Projects may be suggested by observations made during group exercises or from the research literature, and will be evaluated on the basis of feasibility in the available time, soundness of experimental design and concept. During the final week of the course, data analysis and writing of project reports will be carried out and students will present their results orally in an end-of-course symposium. Grading Up to 6 units of credit will be given, 3 for the lecture portion and 3 for the field portion. A letter grade will be assigned based on attendance at lectures, exams, reports, proposals, as well as by less tangibles such as personal attitude, motivation, and contribution to the course. The instructor will provide a breakdown of points earned and final letter grade to your academic institution. The student is to provide direct evidence of course participation such as the syllabus, schedules, handouts, lecture notes, proposals, reports, etc. Please arrange for credit through your department or academic advisor. Fundamentals of oceanography, global ecology. Plate tectonics, formation of ocean basins, continents and ocean currents. Reef morphology, distribution of reef systems. 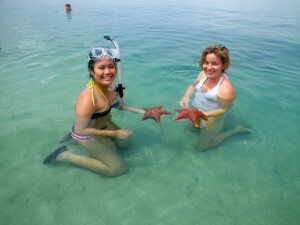 Coral reef community study – distribution and abundance of organisms. Coral reef community study – components and interactions, trophic dynamics. Biology of coral reef organisms: corals and other coelenterates. Biology of coral reef organisms: Porifera and crypto-fauna. Biology of coral reef organisms: echinoderms, arthropods and annelids. Biology of coral reef organisms: fishes. 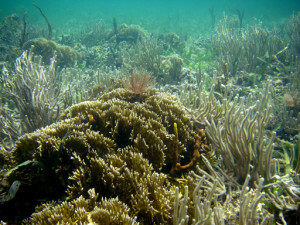 Biology of coral reef organisms: algae and plants. The coral reef as ecosystem: How are reefs organized? 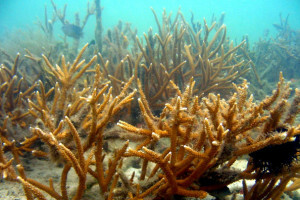 Ecosystem stability: are coral reefs more stable than temperate ecosystems? Stability, resilience and fragility; are these concepts relevant to reefs? Evolution of tropical Central American environment.